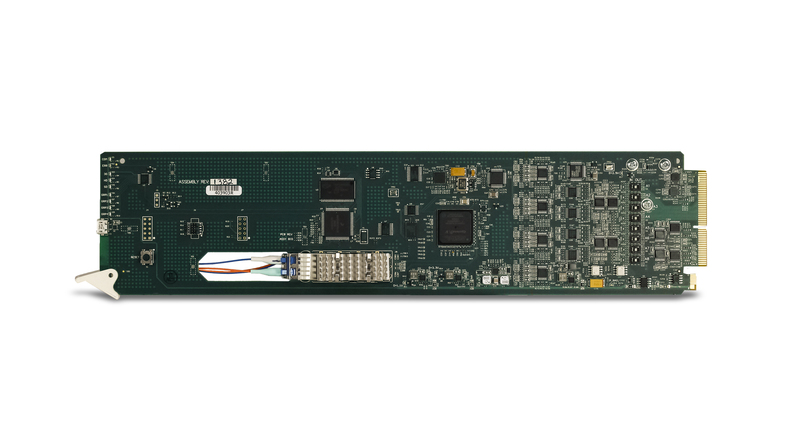 OE fiber receiver with fiber and coax as inputs 16-channel AES support and 8-channel analog audio support in one card. Individual per-pair embedding or de-embedding. 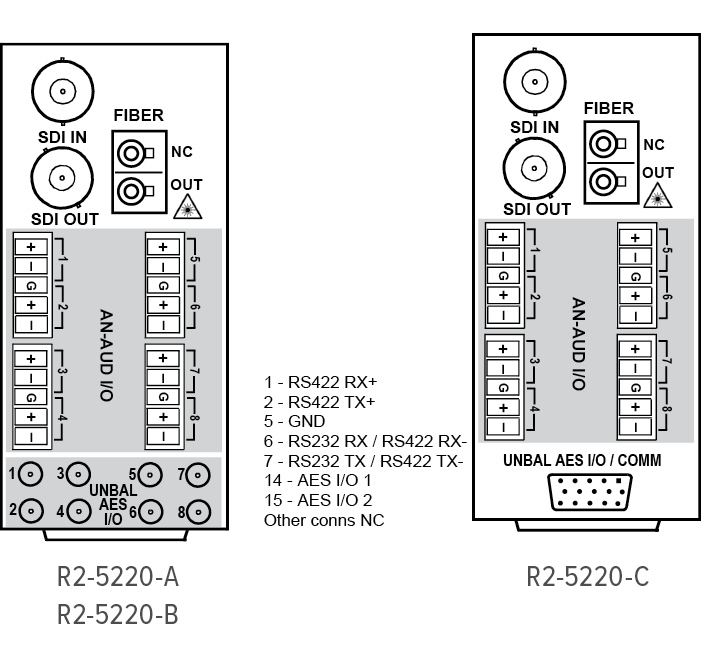 Provides four-group SDI embed/de-embed and cross-conversions between analog and AES discrete audio.